There was a time when a shopping centre landlord would happily lease a large space to Myer on a very low rent. Its presence would attract so many customers the whole centre would benefit. Rents paid by smaller retailers would effectively subsidise those of department stores like Myer and David Jones. Those days are long since passed and Myer’s latest quarterly update explains why. The continued slide in sales has cut short the tenure of CEO Richard Umbers, drawn the ire of substantial (and vocal) investor Solomon Lew and crushed the company’s share price. Myer relisted on 2nd November 2009 at a price of $4.10. Its share price has since fallen by 87.6%. Surely, this is bad news for shopping centre landlords and investors in Australian Real Estate Investment Trusts? Counterintuitively, the truth is actually the reverse. Myer’s slow demise is likely to be beneficial for commercial landlords and property trust investors. Let me explain why. Myer’s 2017 financial year net profit after tax (NPAT) of $69.4m was almost $100m less than the comparable 2010 figure. The result is a company with a fragile balance sheet and lease liabilities of $2.7 billion. With around 12 years left to run on portfolio lease terms, new CEO John King, previously at the helm of UK department store House of Fraser, aims to renegotiate existing lease agreements and shrink its network of 63 stores. This will undoubtedly affect shopping centre landlords and their investors. The bigger question is how. There are three points to consider. 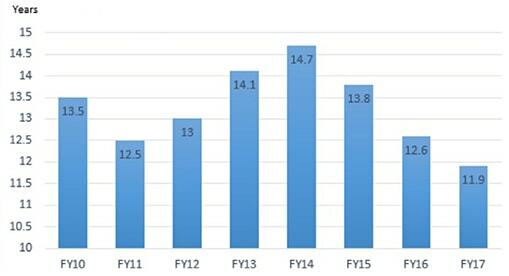 First, even if this is bad news, investors in APN’s AREIT Fund have little to worry about. At 31 Dec 2017, Myer contributed less than 3% of total rents for each of the major AREITs held by the Fund. The Fund’s exposure to Myer is limited. In fact, we view a shrinking Myer as an opportunity for landlords to increase the rents on the spaces the company vacates and, eventually, return that additional income to investors. Myer occupies a larger proportion of space than indicated by the rents paid for it. Within its portfolio, Scentre Group has 22 Myer stores with a combined gross leasable area (GLA) of about 395,000sqm (about 11% of Scentre’s portfolio). But the rent generated from this floor space contributes less than 3% to gross rents. 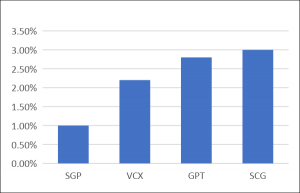 Within the GPT portfolio the five Myer stores account for about 9% of GLA but only 2.8% of gross retail portfolio rent. Similar differentials between gross rent and gross leasable area exist at Stockland (two Myer stores) and Vicinity Centres (10 stores). This means retail landlords have an opportunity to release the space vacated by Myer at potentially higher rents. The question is whether this space can be leased to new tenants. This brings us to the second point. Shopping centres are evolving. In a retail landscape characterised by fast-fashion, increased price competition and convenience, Myer’s appeal as an anchor tenant is waning. Historically, department stores received attractively-priced rents because they delivered higher foot traffic, from which every retailer in the centre would benefit. 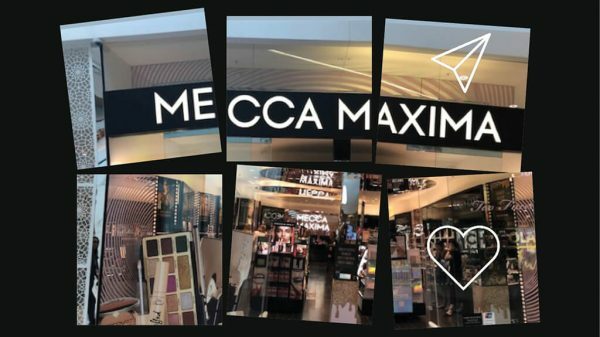 Now it’s the diversity of retailers that attracts shoppers, as this article on cosmetics retailer Mecca makes clear. In effect, the diversity within the modern shopping centre has slowly eroded the department stores’ reason for being. The more unprofitable Myer becomes, the easier it is for landlords like Scentre to reposition its properties from anchor tenants like Myer to other retailers willing to pay substantially higher rents. Events support this thesis. The table below shows how recent Myer closures have led to new tenants taking up the space it has vacated. With Myer rents typically lower than other specialty retailers, retail landlords stand to benefit from rental increases plus an attractive return on capital invested. Myer’s store at Westfield Hurstville, generating about $20m in total annual sales, is a good example. When it closed in January 2015, Woolworths, JB Hi-Fi and Cotton On took up the space. This not only resulted in stabilised total annual sales of $100m but also an 8% return on refurbishing the centre1. GPT also successfully demonstrated its ability to close a Myer store and welcome more productive tenants at Dandenong, where four new mini majors (ALDI, Trade Secret, Daiso and JB Hi-fi) were added2. The evidence suggests retail landlords can benefit from the removal of underperforming department stores by replacing them with tenants paying a higher rent and attracting more customers to the centre. Anecdotal feedback from the landlords would imply that the replacement of a department store with specialties can result in up to 5 times the rent received per square metre. The third point concerns Myer’s long dated leases. 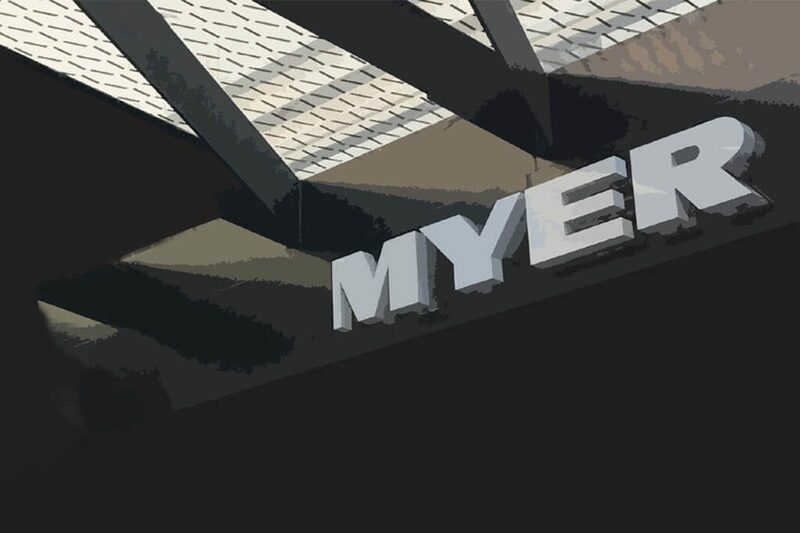 With a portfolio lease expiry term of around 12 years, Myer can either carry on trading or terminate leases at underperforming stores, paying the associated break fee to landlords. Remember, Myer has a lease agreement, a legally enforceable contract that it must comply with. Myer must either keep paying rent or negotiate a lump sum payment to be released from the contract. Despite Scentre Group’s higher exposure to the retailer than its peers, it has the best retail portfolio in Australia. According to Scentre, in terms of sales, profitability and overall contribution, 40% of Myer’s best stores are in its properties. These are least likely to be closed. For Myer’s lower performing stores, given the length of Myer’s lease terms, its negotiating position is weak. We’ve already seen examples of a Myer store’s closure actually increasing income and value to landlords. That suggests the downside risk to AREITs of Myer’s deepening struggles is minimal while the potential benefits are already on show. We believe this means investors in Australia’s best shopping malls have less to fear from the decline of department stores than the media would have us believe. APN AREIT Fund investors can therefore sit back and enjoy the current yield of 6.24%3. Rather than fear Myer’s decline, the evidence suggests it’s an opportunity for canny AREIT investors. To receive further updates and insights from the APN team, sign up for Review, our monthly email newsletter. This article has been prepared by APN Funds Management Limited (ACN 080 674 479, AFSL No. 237500) for general information purposes only and without taking your objectives, financial situation or needs into account. 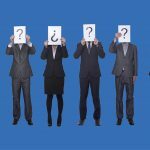 You should consider these matters and read the product disclosure statement (PDS) for each of the funds described in this article in its entirety before you make an investment decision. 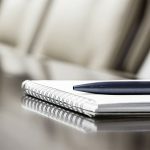 The PDS contains important information about risks, costs and fees associated with an investment in the relevant fund. For a copy of the PDS and more details about a fund and its performance click here. This article contains “forward‐looking” statements. Forward looking words such as, “expect”, “anticipate”, “should”, “could”, “may”, “predict”, “plan”, “will”, “believe”, “forecast”, “estimate”, “target” and other similar expressions are intended to identify forward‐looking statements. 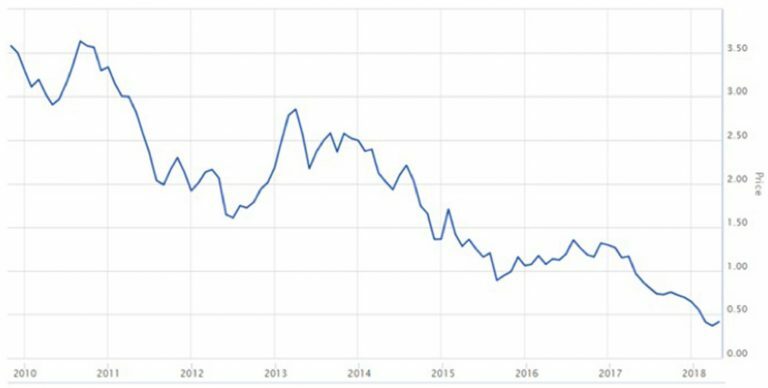 Forward‐looking statements, opinions and estimates provided in this article are based on estimates and assumptions related to future business, economic, market, political, social and other conditions that, while considered reasonable by APN, are inherently subject to significant uncertainties and contingencies. Many known and unknown factors could cause actual events or results to differ materially from estimated or anticipated events or results reflected in such forward‐looking statements. Such factors include, but are not limited to: operating and development risks, economic risks and a number of other risks and also include unanticipated and unusual events, many of which are beyond APN’s ability to control or predict. Past performance is not necessarily an indication of future performance. The forward‐looking statements only speak as at the date of this article and, other than as required by law, APN and its Related Parties disclaim any duty to update forward looking statements to reflect new developments. To the fullest extent permitted by law, APN and its Related Parties make no representation and give no assurance, guarantee or warranty, express or implied, as to, and take no responsibility and assume no liability for, the authenticity, validity, accuracy, suitability or completeness of, or any errors in or omission, from any information, statement or opinion contained in this article. 3. As at 31 May 2018. Current running yield is calculated daily by dividing the annualised distribution rate by the latest entry unit price. 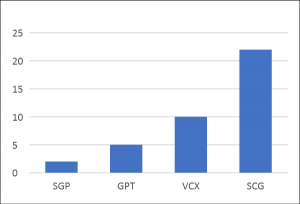 Distributions may include a capital gains component. Past performance is not an indicator of future returns. 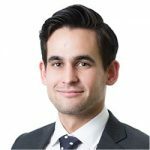 Matthew joined the APN Real Estate Securities Team in June 2016 and is responsible for analysing and investing in Australian property trusts. Matthew brings fundamental property knowledge across multiple property sectors together with financial modelling and real estate market research expertise.